The end-of-year After-School STEM Clubs for Girls (ASCG) Competition will take place at 10:00 a.m. on Wednesday, June 13, 2018. The ASCG is running effectively in 15 Government Secondary Schools across the FCT and is working with about 530 students. Through our curriculum, we have taught the students Robotics and Mobile application development using MIT app inventor. 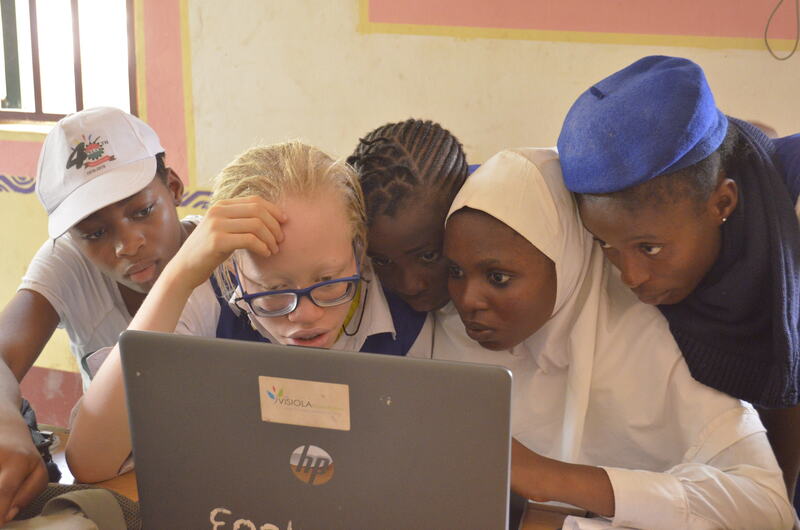 The students learned how to build robots and mobile applications as they were tasked to develop mobile technology solutions to problems they identified in their communities. These activities are helping to strengthen the theories they are learning in their mathematics and physics classes. They are further learning how to think analytically, solve problems creatively, and work in teams. To close out the academic year, we will hold an inter-school competition at 10:00 a.m. on June 13, 2018, to enable the members of our ASCG to showcase their newly acquired skills in mobile programming. Students from selected schools in the ASCG program will select representatives who will compete for prizes.